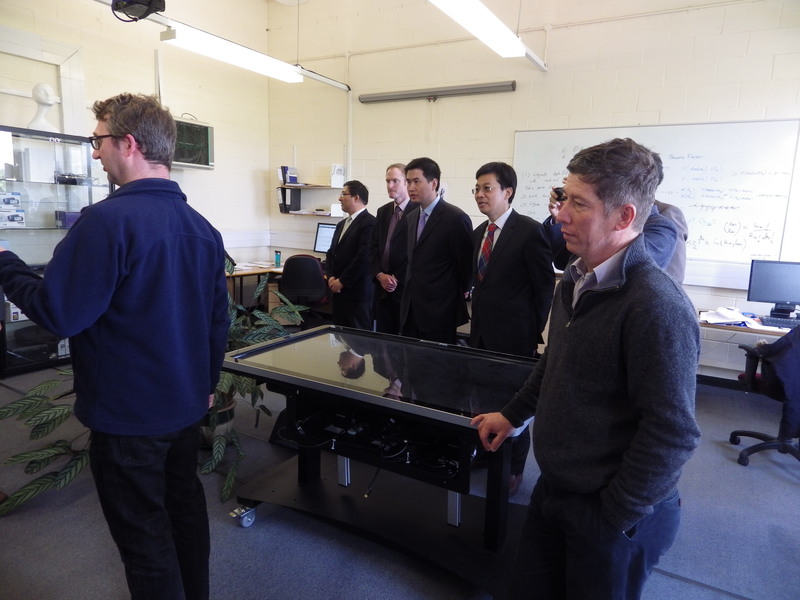 On Monday 18th May, Professor Nick Taylor escorted a delegation from the Economic and Commercial Office of the Chinese Embassy led by its Head, Minister Counsellor Jin Xu, on a tour of the Edinburgh Centre for Robotics at Heriot-Watt University. 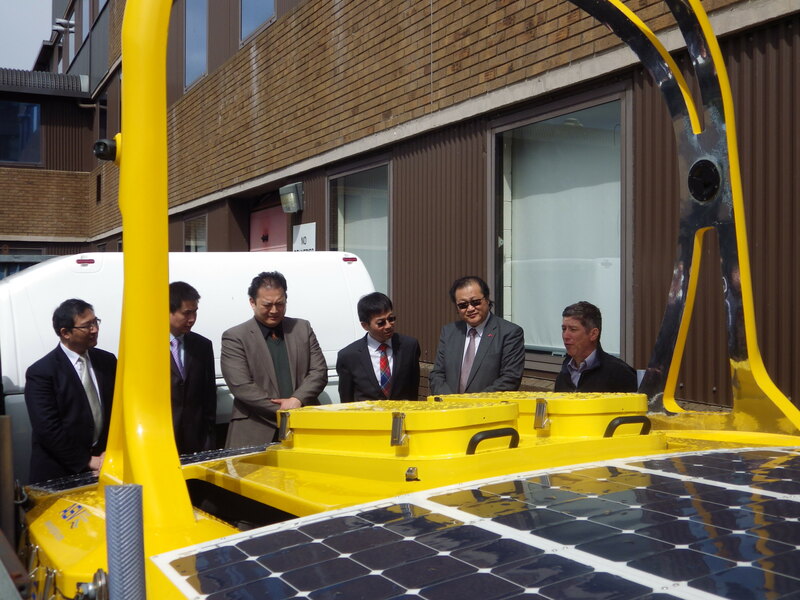 They were accompanied by Ruth Moir, Heriot-Watt’s Assistant Principal (International Development) and James Brodie of the China Britain Business Council. 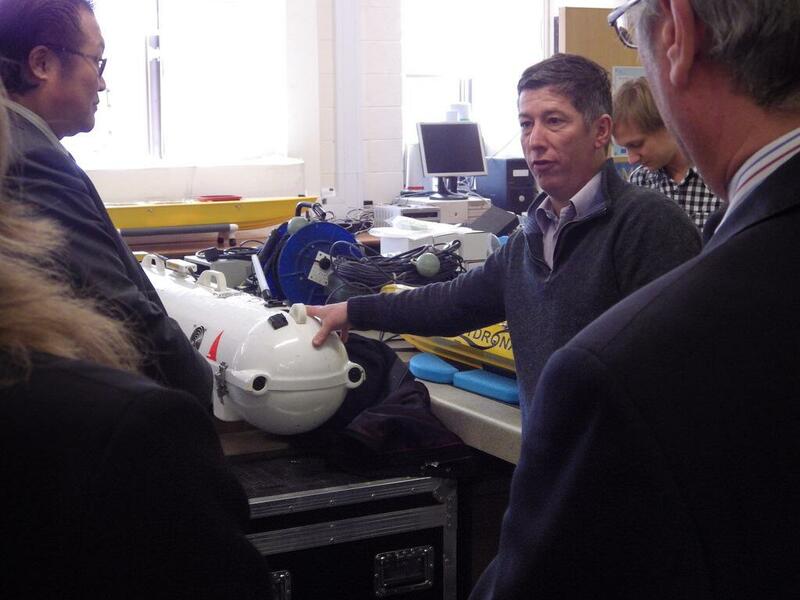 They first visited the Ocean Systems Lab where Prof Yvan Petillot of EPS showed and number of Autonomous Underwater Vehicles (AUVs) and Autonomous Surface Vessels (ASVs) including some from the Heriot-Watt spin-out company SeeByte and the latest acquisition, Catriona, a twin-hulled, energy harvesting, C-Enduro from ASV Ltd, purchased as part of the ROBOTARIUM capital funding from EPSRC. 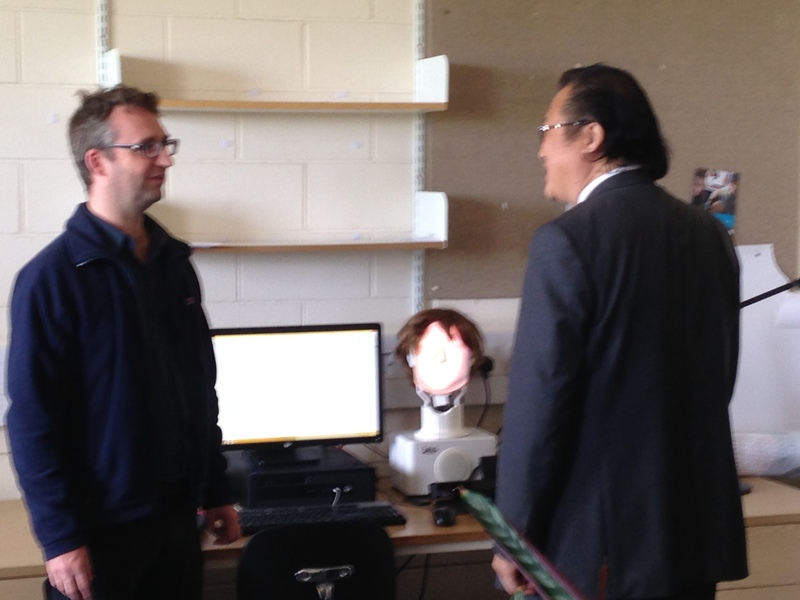 Next, they visited Prof Oliver Lemon and Yanchao Yu of MACS in the Interaction Lab, who demonstrated FurHat; a humanoid head incorporating natural language and gaze technology to interact with Mr Xu as he played a quiz game with Prof Lemon. Finally, they visited the Autonomous Affective Agents Lab, where Amol Deshmukh of MACS demonstrated the use of an interactive Nao torso robot integrated with a touch table to provide empathic robotic tutoring.